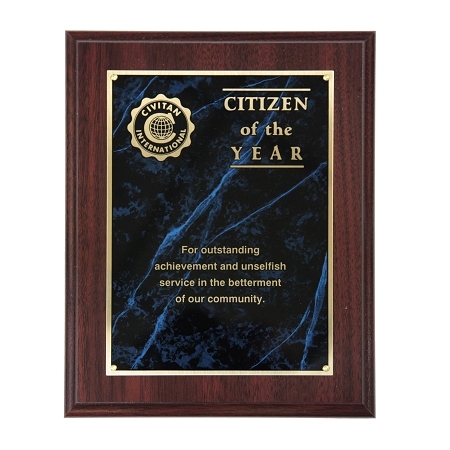 An 8 x 10" simulated walnut board has silk-screened brass plate with Civitan logo. Copy reads: For outstanding achievement and unselfish service in the betterment of our community. Large space for engraving, name club name, and date.